There are certain Indians who do not shy away from making their wedding nothing less than a splendid spectacle.We take a look at some of the Big Fat Indian Weddings which have made news over the past few years and have gained the spotlight with their extravagant weddings. 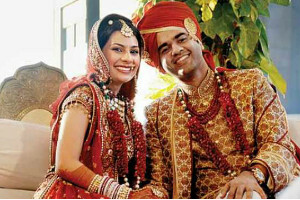 Abhinav being the son of the vice chairman of Reliance industries tied knot to Prerna, who is the daughter of Kolkata’s jute baron Ghanshyam Sarda in Mumbai on January 28,2012. The bride arrived to the wedding venue on a Palanquin. Anil Ambani and Tina Ambani were seen welcoming the guests on the entrance of the wedding venue which was a huge gesture on its own. The wedding saw top-notch politicians, corporates and film-stars who added value to this wedding by their mere presence. With big names all over, the food managed to grab its attention as well, as the guests were spoilt with the choice of vegetarian cuisine that was laid out in front of them which included Punjabi, South Indian, Chinese, Thai and even Continental. The Bengali desserts were prepared by the sweet-makers who had come all the way from Bengal. Seems like the guests had a great time with so much of glitter and glamour combined with awesome food. 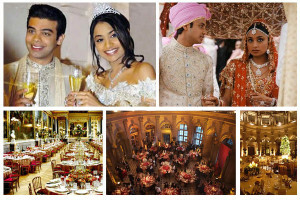 At Rs 240 crore this was perhaps the most expensive Indian wedding when the only daughter of Lakshmi Mittal got married to Amit Bhatia. Spectacular in each and every way,there were elite people to be seen from all round the globe.The wedding was held in Vaux le Vicomte, the venue in itself being the major USP.The hospitality was truly amazing and breath-taking.The wedding saw the likes of Shahrukh Khan, Aishwarya Rai, Rani Mukherjee, Saif Ali Khan while Kylie Minouge, the famous pop star turned the wedding very lively with her performance.To make sure that the guests are treated with delicious food,popular Indian chef Munna Maharaj had laid out the vegetarian spread for the guests which was appreciated by everyone. For the one’s who attended the wedding it might have been the best wedding they might have ever attended or will attend in the years to come. This wedding brought two of the popular Bollywood families together when Shweta, daughter of Amitabh and Jaya Bachchan married Nikhil, grandson of the legendary Raj Kapoor. The house of the Bachchan family, Prateeksha was decked up to the occasion. The wedding decor was dominated by red and gold which gave a fine touch to the wedding. While Daler Mehendi held the stage with his bhangra numbers,the greatest applause came only when BIG-B took the stage and sang some old hits. Thousands of people had turned up outside Prateeksha, if they could only get a glance of the happenings taking place inside. This in itself speaks how grand this wedding would have been back 20 years from now. 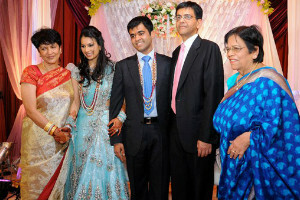 Not only this, India has been home to many Big Fat Indian Weddings over the years. Aman Akash Party Plot understands and values the importance of a wedding and how much it means to certain people who want to make their wedding as the best wedding ever. Next time you are scratching your head over the venue, to carry out a Big Fat Wedding you know Aman Akash Party Plot will surely live up to your expectations.